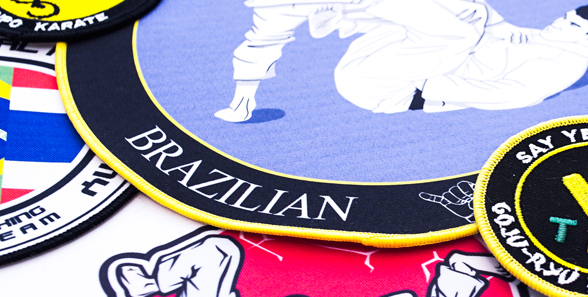 We offer printed and embroidered badges for karate clubs, ju-jitsu and many other martial arts clubs. Do I see a proof of my order? Yes – before we put every order into production we produce a visual proof. This will highlight how your badges will look, only when you are 100% happy we put your badges into production. 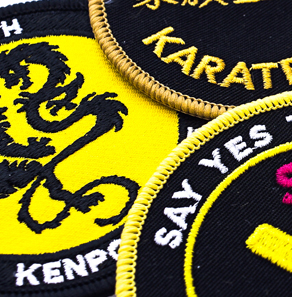 How quickly do we deliver karate badges? 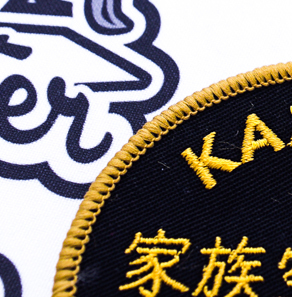 This varies on the decoration method and quantity, but we aim to dispatch badges in 7 working days. Is there a cost for artwork & delivery? Yes – prices start from £10+ VAT for re-drawing the logo. The delivery method depends on your preferred method, we can either use Royal Mail or DPD. 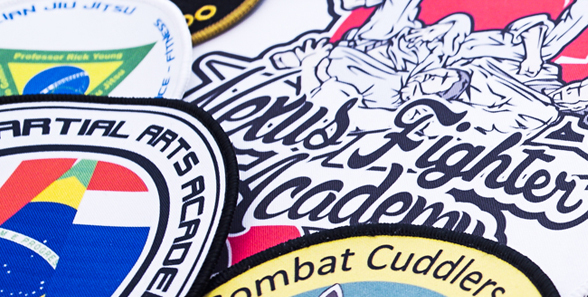 What is the minimum order for martial arts & karate badges? 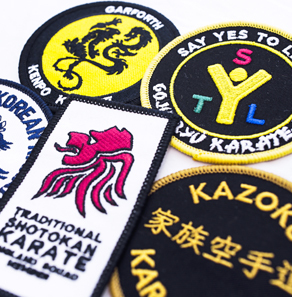 There is a minimum order value in place for karate & martial arts badges of just £50+ VAT. 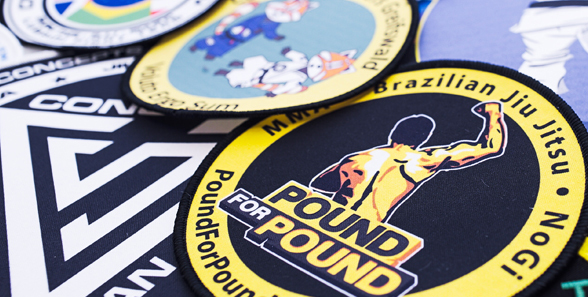 For more information on Martial Arts Badges and our services, please don’t hesitate to contact Golden Finishes on 02920 755733 or email info@goldenfinishes.com.